But getting there took a while. As a child, I memorized John 3:16, and I knew, even during the years I strayed from my faith, that God loved me enough to send Jesus to die in my place. But I still felt like I needed to be perfect in order to “earn” my place in heaven. 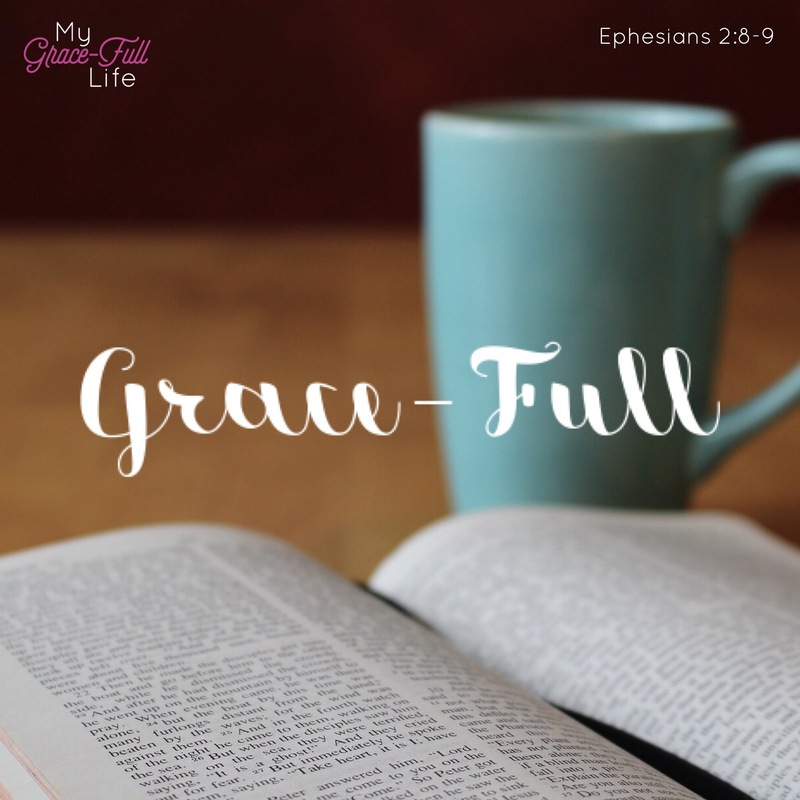 The first time I read those verses from Ephesians, my burden for “perfection” lifted. What I had long-known from John 3:16 was that Jesus died to save me, but what the Holy Spirit finally got through my thick head was nothing I could do or not do was going to change my salvation. It was a God’s grace alone that gave me salvation through faith in Jesus Christ. There are no actions or good deeds that can sway it. God purposefully uses grace alone to keep us humble and dependent on Him. My life is full of His grace and I pray that you recognize the grace God so generously and lavishly pours out on all of you too! Pray a prayer of thanksgiving for the God-given grace that will lead to the most Grace-Full days for each of us who believe.